What an amazing year 2018 it has been again! Looking back, I once again feel humbled about the tremendous growth and success we’ve experienced during the year. Together with our customers, we’ve delivered amazing transformations and digital experiences across different industries using Salesforce technology. During the year, our team has grown by 65% being now 265 professionals across Finland, Sweden, Norway, Denmark, and Slovakia. 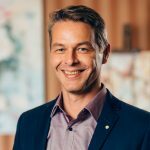 These wonderful outcomes are only possible due to the work of each person in Fluido and our customers, the spirit and culture in which we work together and our teams’ commitment to customer success. It’s through our collective impact that we make the greatest difference. Our team and the culture we foster underpins all the good work we do, and the great outcomes we are able to create together with our customers. The most significant event for us during the year was that we in September became part of the Infosys Group to achieve synergies when it comes to expertise, local presence, global reach and scale to the benefit of our customers — taking Fluido to the next level and new heights. You can read more about this exciting announcement here. Repeating our annual tradition, we are supporting the Save the Children non-profit organization in all Nordics. The organization fights for children’s rights in order to immediately and permanently improve children’s lives globally. 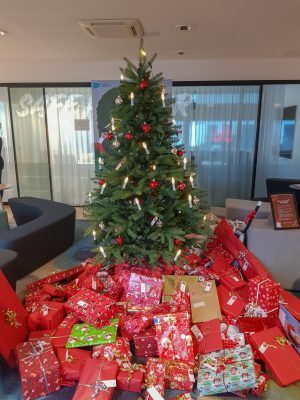 Other notable Christmas events in Fluido include the “Christmas Tree” event in Finland to collect Christmas presents for families in need and the “Feel Good Friday” event together with Salesforce Denmark to supporting local non-profits. I would like to take the opportunity to thank our customers, our friends at Salesforce and Infosys and fellow Fluidians for a fantastic year together. I look forward to an equally fantastic 2019 together with you! Work at Fluido is Flexible and Fun - Rodrigo C.